1. Teachers don’t have that hard of a job. They basically just babysit kids for seven hours a day. Anyone could do that. Never mind that, if we paid them like babysitters, we should be paying them $250,000 per year rather than $44,000. 2. Teachers don’t take care of their classrooms. The books are just falling apart, the desks are old and broken, and I have to contribute classroom supplies for my kid every year. Never mind that funding for common education has been cut dramatically over the past decade, and never mind the fact that teachers make do with substandard classroom resources, often using their own money to give their kids a quality educational experience. 3. Teachers indoctrinate my kids with anti-religious nonsense. If I don’t want my kid learning about evolution, the teacher shouldn’t be allowed to teach evolution. Never mind that teachers are charged with opening minds, exposing children to new worlds of ideas, all the while putting up with hell from parents and special interest groups for teaching a curriculum over which they have little to no control. 4. Teachers complain too much about not getting enough money for their schools. I don’t even have kids–why should I have to pay my hard earned dollars for someone else’s kids? Never mind the fact that education funding has decreased across the board since the Great Recession; that good school districts often result in greater benefits to everyone living there; and that “kids are the future” and all that jazz. 5. Teachers get off work at 3pm. Never mind the countless hours they spend grading papers, preparing lesson plans, tutoring students, or pulling all-nighters to get ready for class. 6. Teachers get a three month summer vacation. Never mind the professional development seminars they attend, the workshops they travel to, the classroom workdays they set aside, the lessons they plan, or even the second jobs they have to work to make ends meet. 7. 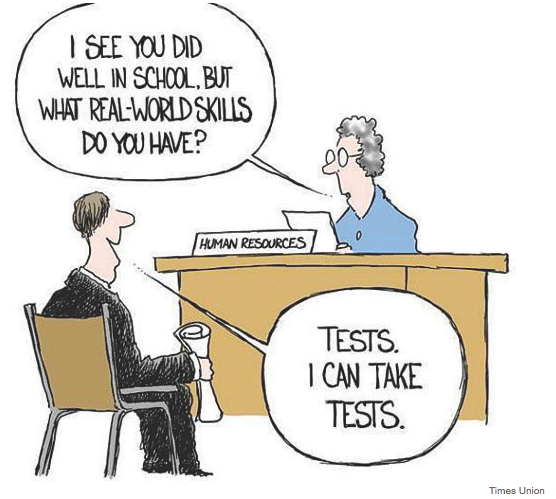 Teachers complain too much about standardized tests. Never mind the fact that such tests measure only “low level” thinking processes, take education out of the hands of educators, allow pass-fail rates to be manipulated for political purposes, and radically limit the ability of teachers to adapt to learner differences. 8. Worst of all, though, teachers try too damn hard. Never mind that they come to work every day not for the meager pay but for a chance to make a kid smile because they understand the world a little bit better than they did before. Never mind that they try to have an impact and make a difference. Never mind that they try to change lives. Never mind that a lot of people don’t support them, don’t listen to them, don’t understand them, and don’t respect them. …Never mind that teachers try anyway. Because that’s just who teachers are. Yeah. Teachers are the worst. And we should all want to be like them. See this post on Thought Catalog. David Postic is a second-year law student at the University of Oklahoma. Each Friday, we here at Thirty-Eight Minutes post our five favorite education-themed articles from around the web this week. Alas, we are but five guys with limited time to surf the furthest reaches of the Internet. So, as always, we would love any additional articles worth reading. If you find any, please post them below and share your discoveries with us. Note: that last source–The Upshot–is a relatively new section of the New York Times that I highly, highly recommend reading for a variety of subjects. 12 Years a Slave is only the third movie to win the Academy Award for Best Picture with a black person* in its starring role. The first was In the Heat of the Night, starring the great Sidney Poitier in a story about a black cop facing racism in a corrupt, Southern town. The second was Driving Miss Daisy, which I love but which does not give its black star, Morgan Freeman, a flattering role to play as the driver for the initially racist character that Jessica Tandy plays. So the movies that history will remember as the best movies starring black people in the first 85 years of the Academy’s history all deal with racism. That apparently, is the only story about black people that Hollywood has deemed worthy of setting in stone for future generations. This is sad, but not the fault of those three movies. In the Heat of the Night and Driving Miss Daisy, while heavy-handed with their themes, are very entertaining stories with great performances. 12 Years a Slave is heavy-handed too, but only because it comes at you like a fist made of the heaviest of heavy stones and crushes any preconceived notions you might have entertained about slavery in the American South. It’s a hard movie to watch, to say the least. It’s also the best movie you could watch. I’ve had several people tell me that they don’t want to see 12 Years, because it will be too hard to sit through. They don’t think they can endure it. As much as I want to grab their shoulders and shake them and tell them they have to watch it, I can’t blame them. It’s very hard to sit through. Screenwriter John Ridley has us following Solomon Northup (Chiwetel Ejiofor) from the everyday joys of freedom to the everyday ignominies of slavery, which is hard enough. But director Steve McQueen shoots 12 Years as if he’s documenting real-life events. When Solomon is strung up on a tree after challenging a white foreman, McQueen lets the camera linger on him struggling against the rope, his toes barely grazing the grass as they desperately try to touch, the other slaves on the plantation going about their business in the background, including children playing. With that shot, McQueen lets us see that the slaves know the futility of their situation, just as he lets us see the brutality of the whippings, the abuse, the rapes. I understand why people don’t want to watch that. But McQueen and Ejiofor and Ridley made this movie because we need to watch it. We need to watch it, because it’s not enough for the history books to tell us that slavery was ethically wrong. It’s not enough to think of slavery as a political black spot in America’s history. It’s not enough to think of slavery as a past that the civil rights movement had to overcome. No, slavery was something that happened to people, real people, and that’s what we need to learn from 12 Years a Slave. There’s a scene near the middle of the movie in which the great Lupita Nyong’o’s character begs Solomon to kill her, so weary is she of her existence under the thumb of Michael Fassbender’s plantation owner. That’s the kind of human desperation that slavery bred. It’s hard to understand that slavery robbed people of their humanity when it’s considered in the abstract. Watching 12 Years a Slave makes that thought process painfully easy. It worries me that we still haven’t learned that lesson yet though. It’s tempting to look at 12 Years as a faux-documentary of a terrible time in America’s past. And McQueen has shot it that way, paying close attention to the period details. But don’t think for a minute that McQueen didn’t make this movie with a thought to what it might have to say to us now. A period movie may be set in a different time, but it’s always meant for the time in which it’s released. *Note: I say “black person”, but I really mean “black man”, because no movie starring a black woman has ever won. Aaron is a speech-language pathologist working for Oklahoma City Public Schools. 1. No Child Left Behind and Common Core not the same thing. The No Child Left Behind Act was passed by Congress in 2001. The Act essentially required states to create assessments in certain skill areas in order to receive federal funding. It expanded the federal role in education through annual testing, annual academic progress, report cards, teacher qualifications, and funding changes. Although the Act passed with bipartisan support, it has since come under broad criticism for being easily manipulated for political gain, as well as for failing to recognize localized educational concerns. Common Core, however, as explained below, is different in scope and function than No Child Left Behind. Nevertheless, Common Core standards are beginning to replace the state-based testing standards of No Child Left Behind. 2. Common Core was not created by the federal government. Two nonprofit state groups–The National Governors Association and the Council of Chief State School Officers–created the Common Core standards back in 2010. Common Core was not a measure of Congress nor the White House nor the Department of Education. The federal government has, however, promoted Common Core standards. It can waive certain requirements of No Child Left Behind for states who adopt Common Core. It has also tied Race to the Top funding to Common Core implementation to incentivize adoption of the standards. 3. Common Core does not set a national curriculum. National standards are distinct from a national curriculum; Common Core only establishes national standards. In other words, Common Core only sets what students should know–not how teachers should go about teaching it (that would be a national curriculum). Federal law actually prohibits the Department of Education from interfering in curriculum, which is determined at the state and local level. 4. Common Core only sets standards in two subjects. 5. New standardized tests are being created for Common Core. This is where a lot of outrage is being directed. Most states that have adopted the Common Core standards have also joined one of two consortia (word of the day) that are working to develop new standardized tests. The idea is that all the states who implement Common Core will use those new standardized tests. Many states are now opposed to this process and choosing instead to write their own tests, in large part because it is a way to pull back from Common Core without opposing it outright. 6. Students currently aren’t doing all that well on Common Core tests. Only two states, Kentucky and New York, have assessed how their students are doing under the new Common Core standards. As the chart below shows, scores in both states have dramatically decreased. There are a lot of variables that go into this result. First and foremost, the Common Core tests are more difficult than the old ones, so naturally the initial results will not be good. Additionally, both Kentucky and New York are using tests they created (specialized for their states) rather than a test created by one of the consortia. So it is difficult to tell if these results are just localized to those states, or if other states will see similar test scores. 7. However, the overall impact of Common Core may be positive. One of the driving forces behind Common Core was the desire to make students college-ready and decrease the number of remedial courses students needed to take in college. 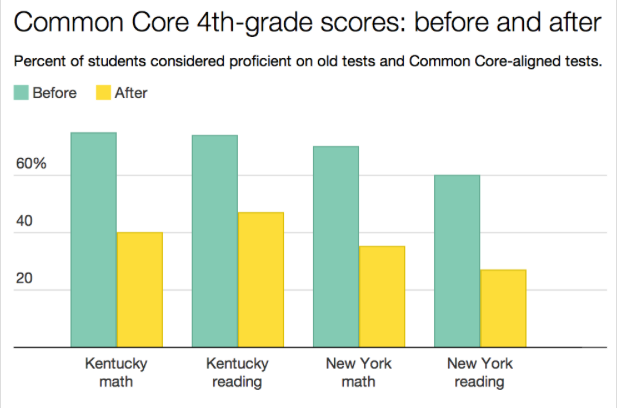 Early evidence shows that Common Core is achieving this result in Kentucky, which is sort of the poster child for Common Core since it was one of the first states to implement the new standards. In Kentucky, the percentage of students who needed remedial math courses has dropped 38% since 2009. For language arts, only half as many students need remedial courses. 8. Common Core is not really a partisan issue. Surprisingly, this is not a strictly Democrats vs. Republicans issue. 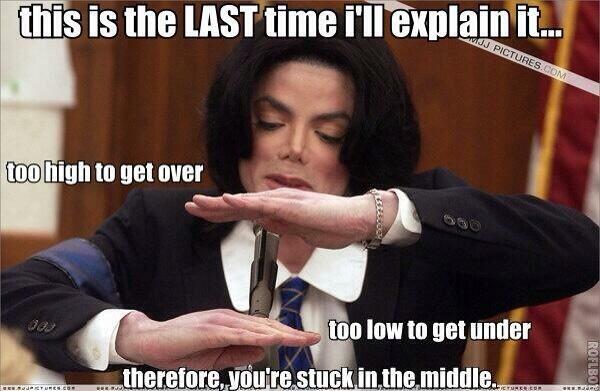 There are some Republicans that support Common Core (e.g. the U.S. Chamber of Commerce, Jeb Bush, the Fordham Institute, etc. 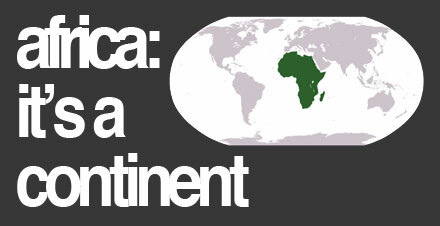 ), while there are others (such as the Tea Party) that do not. On the Democratic side, the Obama administration supports Common Core, while various teachers unions and other liberal groups are hesitant to support it based on concerns about implementation, student privacy, and a continued focus on standardized tests. 9. Many teachers support Common Core or something like it. 75 percent of the American Federation of Teachers (AFT) supports Common Core. 75 percent of the National Education Association (NEA) supports it. A survey of 20,000 teachers conducted by Scholastic and the Gates Foundation found that 73 percent of teachers who teach math, English language arts, science and/or social studies in Common Core states support the new standards. A recent survey of principals conducted by the National Association of Elementary School Principals (NAESP) found that 80 percent of principals support it. The majority of superintendents, too, support Common Core (although that might be a turnoff if you live in Oklahoma). A Gallup/Education Week poll of superintendents showed that somewhere between 58 and 75 percent support the new standards. 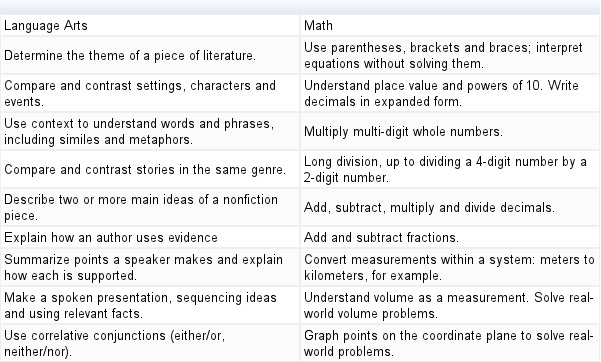 So there you have it–the basics of Common Core. Hopefully you know more now than you did five minutes ago. While the purpose of this article is to inform rather than persuade, it is difficult to remove our personal views entirely. We are not trying to convince you that Common Core is good or bad; we simply want to give you a better understanding of the issue so you can make that determination for yourself. If you have an opinion you would like to discuss or an argument you would like to make, please leave a comment below. For more information on Common Core, see the Core Standards website or (as always) just Google it. Edit: Here is a similar article to this one, only from a much more established source. Each week (usually Friday, but Thursday this week), we here at Thirty-Eight Minutes post our five favorite education-themed articles from around the web this week. Alas, we are but five guys with limited time to surf the furthest reaches of the Internet. So, as always, we would love any additional articles worth reading. If you find any, please post them below and share your discoveries with us. The phrase “money talks” couldn’t mean more than it does now in 2014. The Citizens United v. Federal Election Commission decision was a watershed moment for big money politics. Citizens with inordinate amounts of wealth were already spending piles of money before Citizens United. A sizable amount of literature already exists on the inner workings of these political elite – investigative journalists have written about the Koch Brothers and several other millionaire/billionaire (let’s face it, it’s just not that hard to be a millionaire these days) donors on both sides of the political spectrum. I am not an investigative journalist, nor do I have the time to deeply research this shadowy monetary infrastructure. I simply want to bring attention to the importance of money in politics. In an age where practically everyone has a smartphone, there is really no excuse for being uninformed. We can Google the location of Benghazi, find a nice Tinder date, and learn about the Farm Bill – all from our phones. And for those that don’t have phones, Internet access and public computers are widely available. How can we not make self-determined decisions about how we should vote or how we should feel? Money is talking because, well… citizens aren’t. Money buys political advertisements, TV time, fancy cocktail hours, phone calls, and political analysis. All for We The People. Millions are spent on election after election (let’s not even think about what we could do with the gross amount we spend on our campaigns. I get queasy) just to get us to show up and vote for one person or another. They don’t need all of us. They don’t even need half of us. They just need enough people to care about voting. Which is often a low number, considering the high percentage of people angry with Congress and the White House. And who says our vote is worthless? Tell that to Mr. Cantor. He learned, as we all did, what people can do when they actually rally behind something. There are political lessons to be learned, but more importantly, there are civics lessons to be learned. Everyone on both sides talk about how the government is bad or could do better. Evil. Wasteful. Naughty. Untrustworthy. Terrible. However, when it comes voting time, only half of those people show up. Now, I understand there are sizable barriers to people learning about political issues. But what we need to remember is that wealthy conservatives and liberals pump millions into dollars just to shape our opinions. If they can buy public opinion, they can buy the public. They already have, in a sense. Money, as stated before, is talking louder than the people. There are very few barriers that keep citizens from putting Congress’ feet to the fire. Something that has always amazed me is that we tell our kids that they can do whatever they want to do, but as adults we stand by and take the abuses of government and do nothing. Why can’t we hold Congress accountable? Perhaps the cacophony of “left versus right.” Misguided facts and blame-games create a political Tower of Babel. Everyone is talking, but nobody is truly understanding each other and getting things done. Note that it’s not just a bipartisan struggle, but it’s a make-Congress-stand-up-to-lobbying issue and a Congress-isn’t-representing-the-peoples’-interests-within-the-party issue. This is where advertisements come in. They’re simple and they stretch the truth. If people don’t read into issues, their opinions are easily polarized. When millionaires can monopolize advertising and control what people see, when they see it, and how people see it… that adds up to be what Taylor Swift would signify as trouble walking in (to politics). Money gets politicians to say what the contributors want by coercing officials and bending the truth to the contributor’s favor. Big spenders eat up controversy, especially when they’re on the winning side of it. Pay attention to how many ads mudsling or play off of controversial events (like Benghazi, Bergdahl, etc.) this fall. Of course, we need to know who our candidates are. That’s why we have and need advertisements. But money changes the playing field for those that have more of it. The Citizens United decision augmented the presence of big money in politics, but where did it begin? The Koch Brothers were one of the first in the game. Charles Koch entered the political arena by creating the CATO Institute and funding several other libertarian groups starting in the 1970s. The Koch Brothers (a story that dips into much further detail starting from Moody’s Yahoo article where I got this info from) were the most famous, but who is to say they were the actually the first? Anyways, fast forward to 2012 – The Koch brothers engineered what the previously mentioned Yahoo article called a “fundraising goliath” that raised $400 million against Democrats in the 2012 election. Let’s not be fooled though, there are wealthy liberals funding Democrats in the same way that wealthy conservatives fund Republicans. What about the common citizen? Lessig’s 2011 Op-Ed in the New York Times notes that less than one percent of Americans give more than $200 in a presidential campaign. If only one percent of Americans are giving more than $200 in a presidential campaign, how the heck did President Obama and Mr. Romney raise the obscene amount of money they did in the 2012 campaign? Super PACs, or Super Political Action Committees, may shed a strong light on the issues at hand. 593 Super PACs currently exist, as ABC News’ Krieg reports in a fairly handy article explaining what a Super PAC is. What’s unique about Super PACs is that they can accept unlimited political contributions. Priorities USA, the liberal Super PAC that supported Pres. Obama, spent a staggering 65+ million dollars in the 2012 election against Mr. Romney and Republicans. Likewise, Restore Our Future, the conservative PAC supporting Mr. Romney spent a whopping 142 million dollars against Pres. Obama and other Democrats. If only one percent of ALL Americans give more than $200 in a presidential election, there is a very grave discrepancy between the influence of the average American and the very, very rich ones. The picture I’m trying to paint, eerily enough, is extremely annotated and only scratches the surface of an intricate and powerful political spending infrastructure that both political parties wield. Now, I’m not foolish, this isn’t a “rage against the machine” type of post. I know that many readers will keep living the lives they did yesterday, as will I. However, this is an issue that we need to begin talking about way more. With midterm elections around the corner and a presidential election that will juggle the potentially perilous issues of Iraq and Syria, a weak recovery, immigration, and so much more – we, as citizens, must choose wisely. Before the monstrous tower of political Babel can be knocked over, we have to step outside of the shadows of the tower. We should feel really special: millions are spent on getting us, as citizens, to vote. How flattering! But we also are left in the dark, with the super wealthy monopolizing the flashlights. Until next time, I’ll leave you with The Notorious B.I.G. song “Mo Money, Mo Problems”. Lester is a International Security Studies Senior at the University of Oklahoma. Now, you know this is an education blog, and I know this is an education blog, but apparently my friend Ernest doesn’t, since he asked me to be involved with it. Sure, I have a job in the education industry (Is this phrase useful or cynical? Discuss.) and I’ve been educated before and I have an interest in education issues. But, well, shoot- I don’t write about education. No, my corner is pop culture and entertainment: movies and music mostly, occasionally books, maybe something here or there about religion or sports if it suits my whims. Truth be told, my corner isn’t particularly well-defined. But it’s decidedly not education. I’ve been pondering that ever since as I’ve tried to figure out what my role could be on Thirty-Eight Minutes. It’s easy for me to view my passion for our popular art forms solely through the lens of entertainment, amusement, and distraction. But I determined a few years ago that my love for film and music is rooted far more in what I learn from them. In education it’s easy to forget that our students are a lot like us in some key ways. For one, it’s easier for them to learn when they’re having fun. Also, they don’t process the world through a series of equations or historical facts or scientific theories that they have to memorize. They process the world through their personal culture. What they’re trying to study is going to click a lot better if it’s applicable to them. Pop culture is a step ahead of the public school system in this regard. It’s usually way more fun, but more importantly, the narratives in movies and meaningful lyrics in music invite us to wrap our own narratives with them and, in so doing, to learn more fully whatever they have to impart. If all this sounds a little to heavy for an aspect of culture that’s given us “She Looks So Perfect” and A Haunted House 2 in the past couple of months, bear with me. We want to use the culture around us to help our students learn, but first we have to become well-versed at engaging with what culture is teaching us. So that’s what what we’ll do. Every other week, I’ll be coming at you with a post about something in pop culture, and we’re going to figure out what it’s trying to teach us and then, sometimes, what our nation is actually learning from it. My friends here at Thirty-Eight Minutes are far more knowledgeable about the intricacies of education and politics than I. Consider this a break from our regularly scheduled programming.